The building process with Metricon has many steps and thankfully our personalised website helps to keep track of each of them. The first of these milestones we achieved this week, the ‘Begin Pre-Site Process’. To achieve this step, we confirmed a suggestion from Metricon engineers to rotate the house on the block. This subtle rotation is only a few degrees difference to the original placement. The change was made to maximise the area and view down the right side of the property. Rather than it being a weird narrowing stretch of land, it’ll now be a consistent distance from the fence. 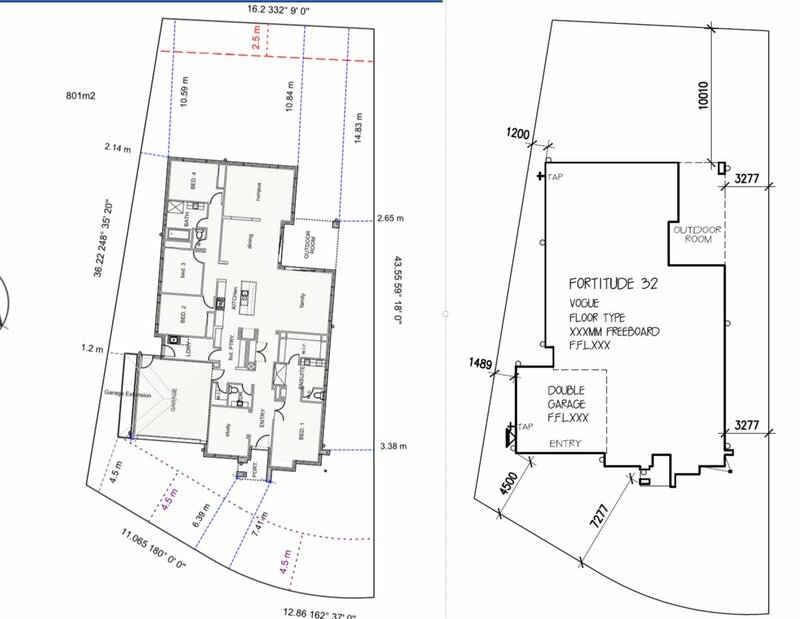 The new 3.27 metre distance is achieved by placing the house as close to the boundaries on the left and front of the property. This maximises the area at the back of the land as well. The only real downside is the left side of the property, particularly the back left corner, has less space to the fence. Given the left side is our dead side, it’s a decent sacrifice. This side will house the hot water system and other less than desirable items that frees up the right side to be clean and usable.